Delcam had a piece off software written in Visual Basic which could drive a robot to machine parts. Today the company announced that they have completely rewritten it and made it available as a plug-in to its flagship PowerMILL CAM product. 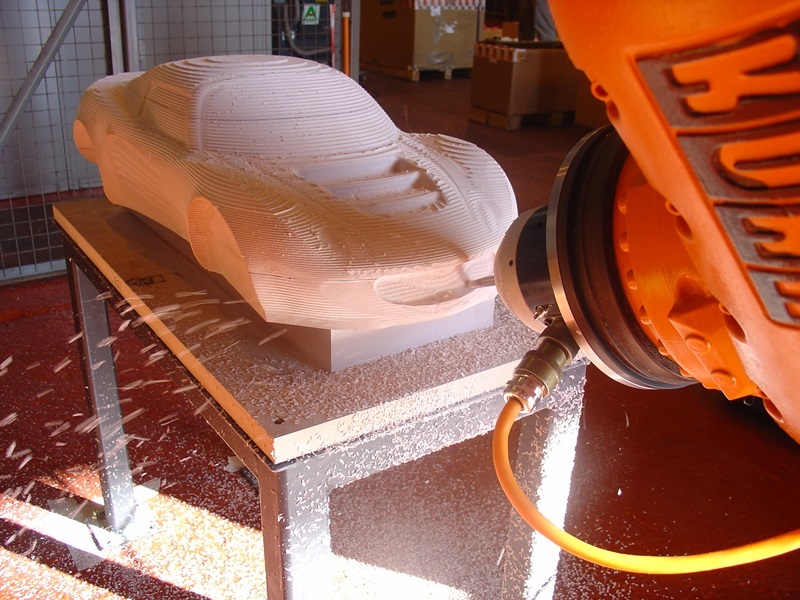 The advantage of the Robot Interface being a plug-in is that it makes it as easy to program a robot as it is to program a five-axis machine tool. Also users get access to all the multi-axis machining strategies built into PowerMILL. After programming and simulating the machining, the program can be output to native languages of robots from KUKA, ABB, Fanuc, Yaskawa Motoman and Staubli. There is no need for third party data translation software. Robots are often used in machining as they offer a number of flexibilities. For example, you can fit a robot on linear tracks or rotary tables to increase the working area. If this interests you I highly recommend you see this Delcam TV video.